What’s college without the memories? 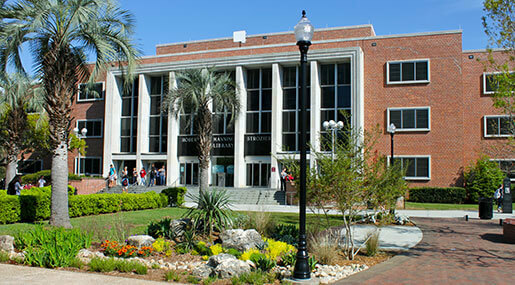 Every college has landmarks that make it standout from the others, and Florida State is no different. From club-like libraries to breathtaking fountains, FSU has a has a smorgasbord of hangout spots that will make you want to visit and become a Seminole. Landis Green, not only where you can soak up the sun on the luscious green lawns, but also hang up your hammock, relax on a throw blanket and throw your college cares away. “[At Landis, you see] the sun shining through luscious green leaves on a fresh crisp day,” FSU recent grad Anthony Bellucci said. “Ultimate Frisbee, students playing football, dogs running, you can find the brightness on people’s faces as everybody is at peace [on Landis Green].” Landis always provides entertainment, with constant activities and conversations held every day. You just have to sit, listen and take in the world. Also known as the SLC, students flock to this spot to watch the classics, blockbusters, alternatives and drum roll please…advance screenings! Your FSU card is worth something now, isn’t it? Pair it with a bag of popcorn; it only costs one dollar on Tuesday and Saturday nights. The SLC even hosted a meet and greet for students featuring Ice Cube and director Will Packer for their comedy action movie, Ride Along. Students can also relive their childhood by playing with the SLC’s extensive collection of video games, including Super Smash Bros and Ultra Street Fighter. Stroz brews coffee and success. Swipe your card through the turnstile to find students hard at work, whether behind a computer screen, conversing ideas or studying for tests. Each of the library’s five levels as well as the basement offer tons of space to do homework. 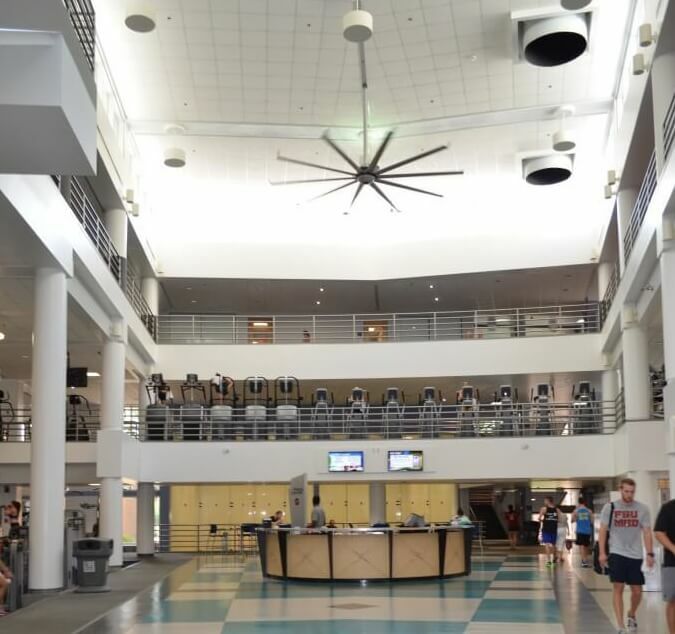 When you walk in the first floor, you step into the loud and bustling “Club Stroz,” while every other floor is coated in silence. Scholars, (try to) find yourself a spot, unload your books, and get to work. The much quieter and calmer library of the three on campus, Dirac Library is the place for more serious studiers to venture. Since it’s a science library, there’s access to tons of science books and resources. “The quiet environment found on the second floor has my favorite cubicle. 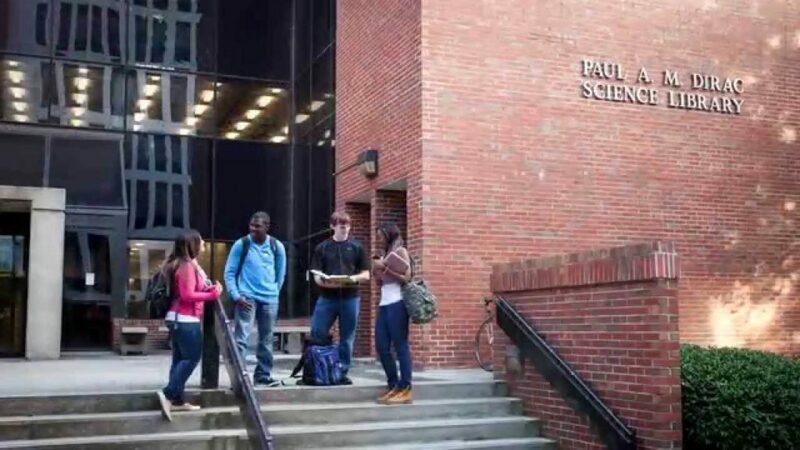 The fourth one to the right of the stairs is why I study at Dirac three hours a day, two times a week,” said FSU student Amber Lechner. “I also [like the] convenience of having a Starbucks right down the stairs from my cubicle where I can get my favorite a medium iced coffee with hazelnut syrup with skim milk and a tomato mozzarella panini.” You’ll feel like you’re at a future office while you sit at your cubicle. 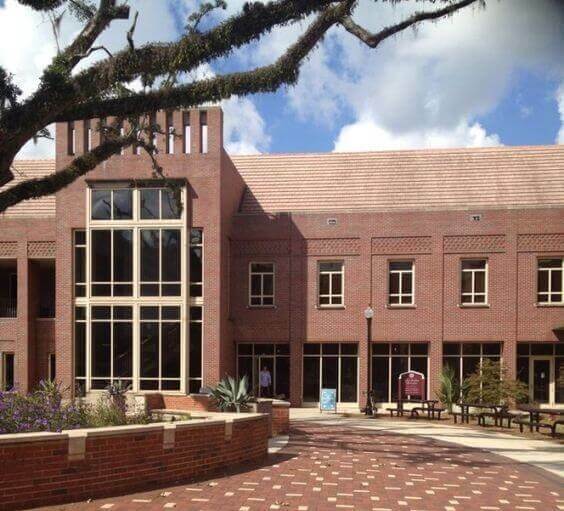 Your work ethic will be improved 10 tenfold when you focus at Dirac Library. We’re all working towards the perfect body. Whether it’s for our New Year’s resolution, 2016 spring break goals or our health, Bobby E. Leach Center offers tons of workout options. FSU freshman Trey Ellis said, “What I like most about the gym are the machines. The squat rack is my favorite. A plus is lot of honeys working out and squatting at the squat rack.” The Leach gives you the perfect place to sweat it out, pump weights, hang out with friends and keep you motivated. Check it out and don’t forget your towel; you’ll need it. Do the late night munchies have you down? When you’re tired of the dining halls closing at 10 p.m., “The Den” offers exactly what you need. 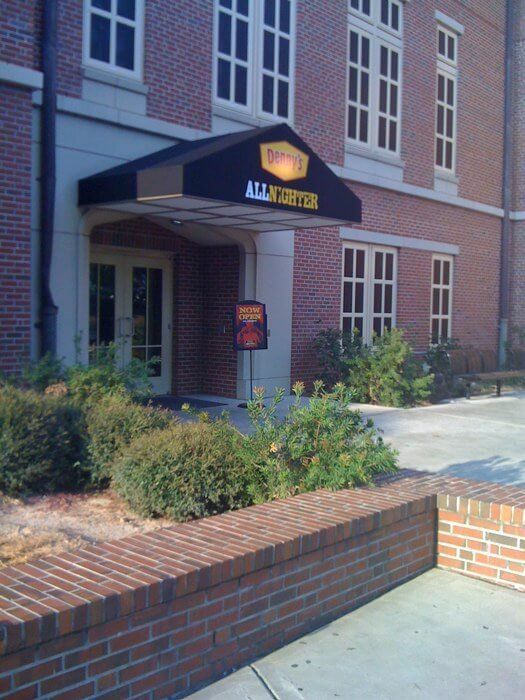 Denny’s Diner, known as “The Den” at FSU, will fulfill the late-night love you need for your stomach. The Grand Slam will always be a classic, as well as the mouthwatering Den Burger. Don’t miss out on indulging in one of their delicious shakes and their cool atmosphere. 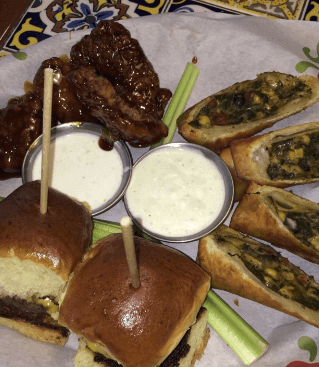 For student craving a fancier taste, head toChili’s. With a delicious menu and quality service, Chili’s will leave you hungry for more. Surprise your friend on his birthday with a Lava Cake, or order one just because you can. The TVs usually play sports games, like when Florida State dominates the competition in football and basketball. Chili’s will have you coming back for more when you’ve got time to stop by for the lunch specials or one of their two for $20 meal combos. The Union, located in the heart of campus, features a Paint-A-Pot, Breakfast for a Buck and more. Not only does the Union host different places to eat, like Papa Johns, Chili’s, Salad Creations and Einstein’s, but it also showcases entertainment like no other campus. Held each year, Lord of the Wings lets every student sample a little piece of heaven from each nearby chicken vendors including PrimeTime and Zaxby’s. Students judge which place cooks the best wings in town. 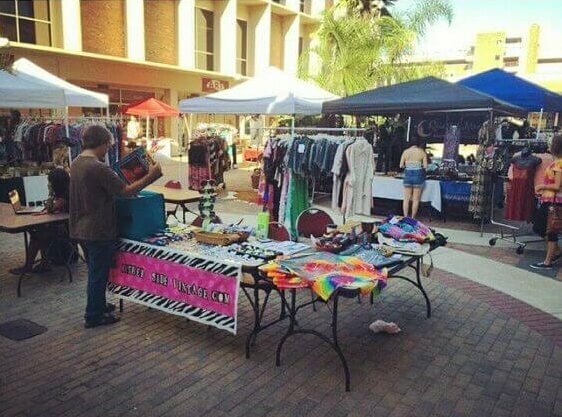 Definitely check out the activities at the Union, you’ll be impressed and find ways to have fun. 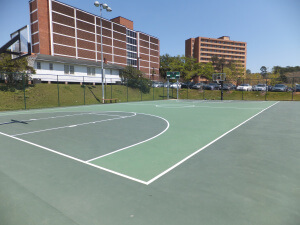 You’ll find three exhilarating sports at the Salley Courts: basketball, tennis and volleyball. You can find your new workout partners at the basketball court area, considering new games start up frequently, so hop in on the competition. The tennis courts let you and your friends improve your skills so you can become the Serena or Venus Williams of your friend group. At the volleyball courts, slip off your sneakers and feel real sand in between your toes before you spike the ball over the net and dominate your friends. All three of the courts give opportunity for fun, and you can rent equipment at the Salley Courts, too. If you walk at night around the Westcott Fountain, you’ll most likely stumble across remnants of Tallahassee’s night life. College students toss their buddies into the white statue temple pool for fun while the laughs and gasps of air are heard over distances. Birthday traditions involve your friends dropping you in the cold, freezing water to commemorate your big day. Westcott Fountain is a great go-to hangout spot to think, laugh and enjoy the water. If you haven’t taken a picture in, in front of, behind or around Westcott Fountain at least once, you need to hop on the ball, or in this case hop in the water. You can’t graduate without experiencing the exhilarating sensation from heading home from a party and stopping at Westcott for a quick picture or dip in the water.